The Model S, shown, is currently Tesla's only vehicle.The automaker expects to launch an electric SUV next year. LONDON -- Tesla Motors will build a factory in Europe once sales of its cars reach 160,000 a year in the region, CEO Elon Musk said. The U.S. electric-car maker also plans to open a European research and development center in the UK "either next year or the year after" and will expand its final assembly plant Tilburg, in the Netherlands, where batteries are reinstalled back into Tesla vehicles imported into Europe from the United States. "My aspirations for Europe are that we sell a comparable number of cars in Europe as the U.S.," Musk told Automotive News Europe at an event in London to mark the delivery of the first Model S sedans in the UK. 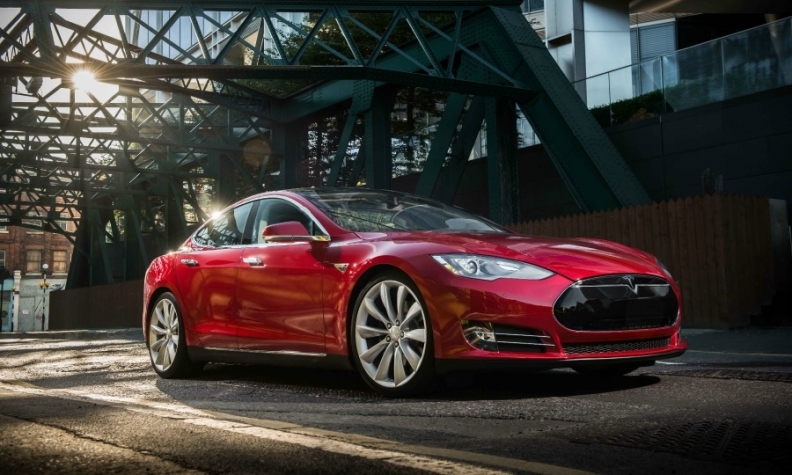 The Model S five-door premium sedan is Tesla's only vehicle. European Model S sales were 3,467 units in the first four months, according to JATO Dynamics market researchers, compared with 2,050 sales in the United States. Musk said once global sales pass 500,000, it “would make sense” to have a factory in Europe and in China. He said that Tesla’s vehicle sales would likely be split evenly between the United States, Europe and China. In April, Musk said at a conference in Beijing that Tesla likely will establish local manufacturing in China in the next three to four years, allowing the company to sell cars at cheaper prices by avoiding China’s 25 percent import tariff. Currently, Tesla builds the Model S in Fremont, California, in a factory formerly known as New United Motor Manufacturing, Inc. (NUMMI), a joint venture between General Motors and Toyota. At the London event, Musk said he expects the UK to surpass Norway as Tesla’s biggest market in Europe. The Model S in the UK sells starts from 49,900 pounds (61,770 euros, $83,249) and is sold at the company’s only UK dealership in London's Westfield shopping mall. Musk said he expected the Model X electric SUV to be launched in United States in the second quarter of next year, with European deliveries to start at the end of next year. Tesla will then launch an entry-level electric car that Musk said would be 20 percent smaller than the Model S. He said that would likely start at 25,000 pounds (31,000 euros) and is scheduled to go on sale in three years.